you with his charm and lovely demeanor! He’s a perfect mix of energetic and calm. He is up for any adventure on the town or a trip to the beach, but also loves to relax and cuddle for hours. 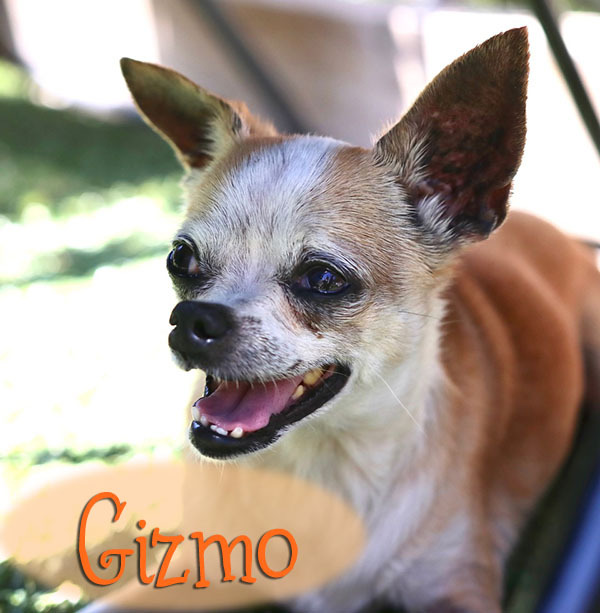 He is 6 years old, 12 lbs, house trained, fantastic with all types of dogs, doesn’t mind cats, and loves people. He would sit on your shoulder like a parrot and follow you around all day if you let him! He is such a sweet guy. 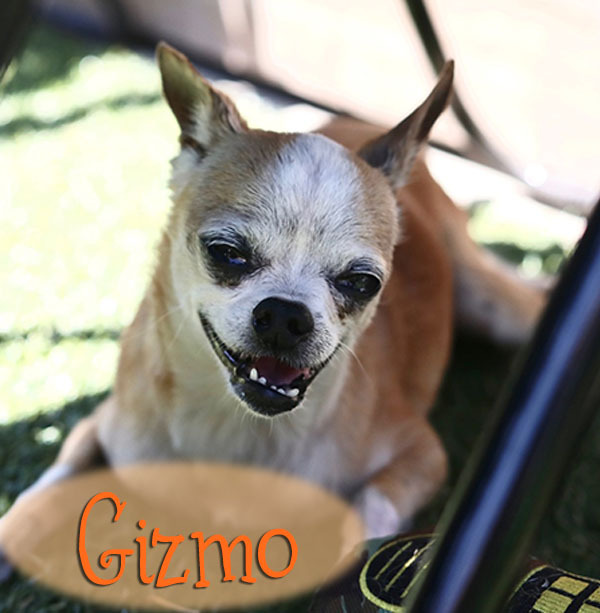 If you’re looking for a new friend, Gizmo is perfect for you! He would do great with any type of family, adults or children (as long as the children know how to properly handle animals). 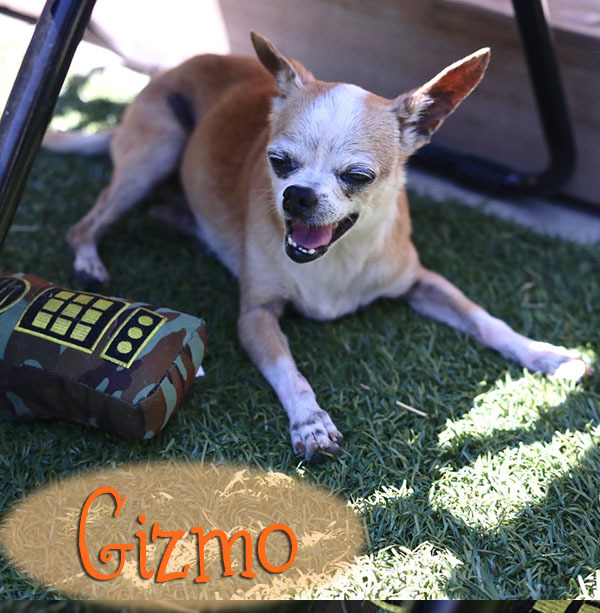 Adopt Gizmo today! Molly is a delightful 8 year old girl who has the most gentle and kind spirit. She enjoys walks around the block and morning cuddles with anyone willing to give them. She recently had dental work done so her teeth are all nice and clean and everything else about her health looks great! She is house trained, doesn’t bark, gets along great with other dogs and people. She was brought in to the shelter as a stray and judging by her great personality it’s clear she had owners at one point and somehow became lost or was dumped. She was rescued from an overcrowded shelter in LA during the 4th of July to help free up space for other incoming dogs in need. Her foster family says she truly is a great dog and brings a lot of love and happiness to their family. 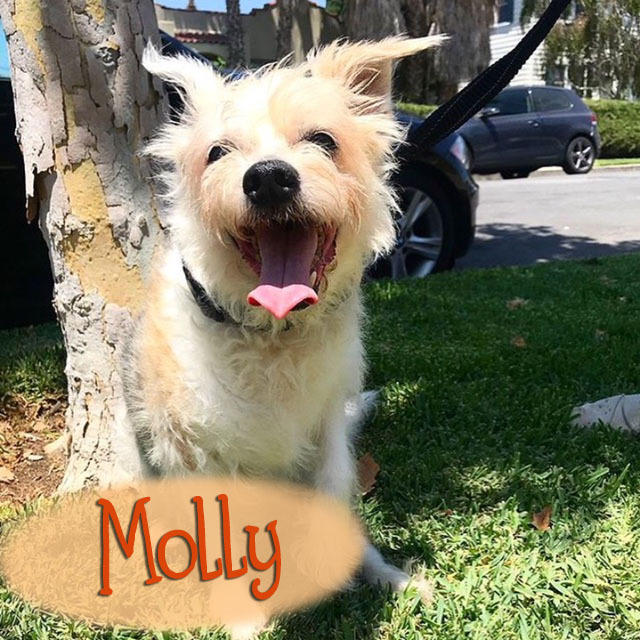 They also have a dog who has never been fond of previous foster dogs, but he has grown to like Molly very much and accepts her as the kind pup she is. 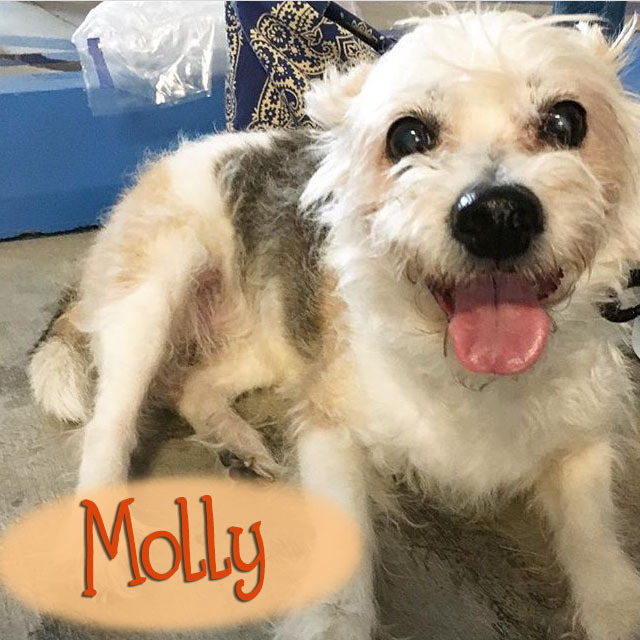 Molly would do great with any family who lives in a home or an apartment and would even be great for a retired family looking for a furry companion to spend their days with! She is truly one of the sweetest dogs. 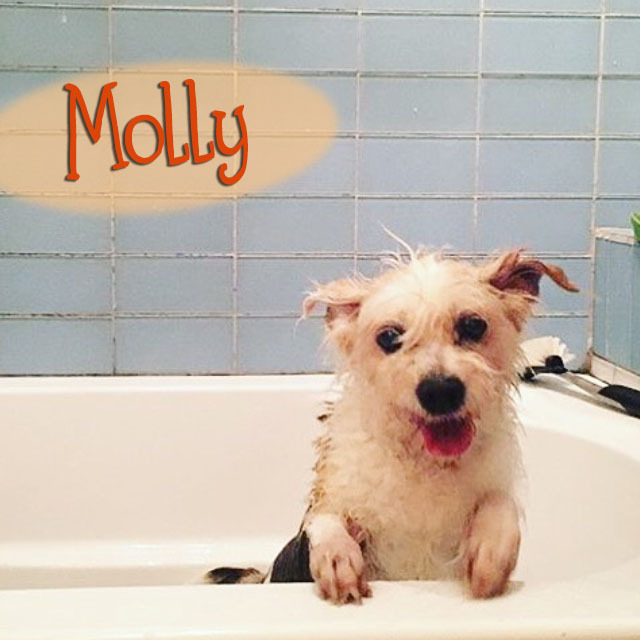 Adopt Molly today! !